Addiction, corruption, and homicide are just a few of the issues Ruben Castaneda touched on during his talk about his prolific career in journalism at the Watson Forum this past Thursday. And Castaneda got his front-row seat. When he started at the Washington Post in D.C., the city logged over 400 murders a year. “That was what D.C. was like at the time. There was something amazing and dramatic that happened every day,” Castaneda said. While covering the crime scene behind D.C.’s crack epidemic in the 1980s, he succumbed to addiction himself. Years later, driven by pure curiosity, Castaneda starting interviewing locals on S Street, a hotspot for drug deals in the 1980s. “I wanted to tell a story that was about more than me, that was bigger than me,” Castaneda said. 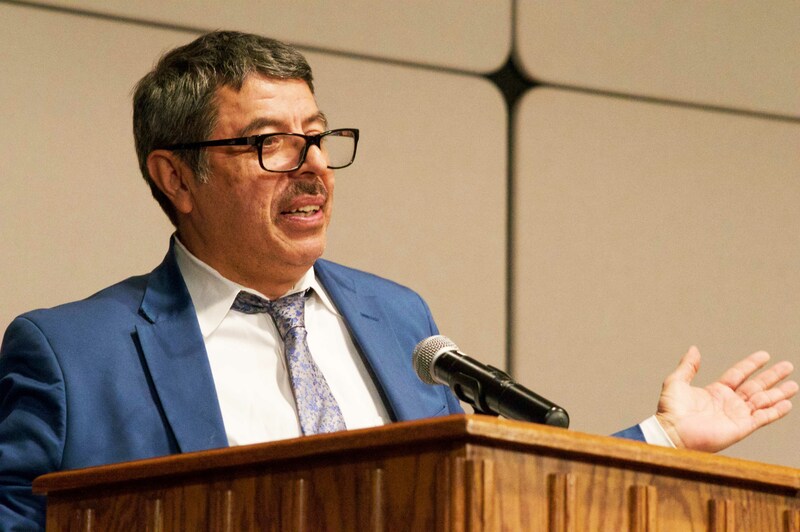 “Something that told about the city, about the police, and about life on these streets where drugs had taken over.” This desire to share the local story exemplifies Castaneda’s passion for his craft.